Wynn's - I Say Ding Dong Shop - Buy Stickers, Decals & Unique Automobilia. Wynn's Crossed Flags Shaped Sticker. 8". Wynn's Crossed Flags Shaped Stickers. 4" Pair. 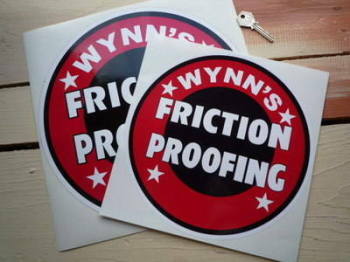 Wynn's Friction Proofing Circular Sticker. 10" or 12". 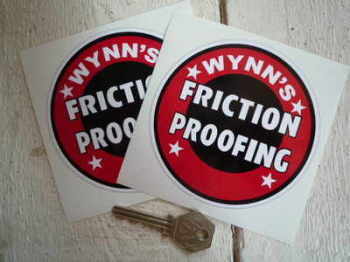 Wynn's Friction Proofing Circular Stickers. 4" or 6" Pair. 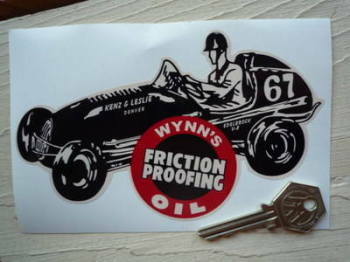 Wynn's Friction Proofing Oil Black & Beige Circular Stickers. 4" Pair. 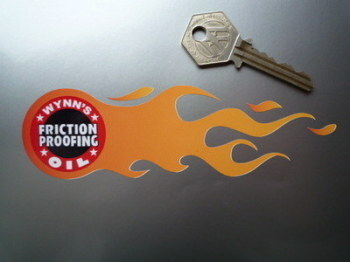 Wynn's Friction Proofing Oil Circular Sticker. 10" or 12". 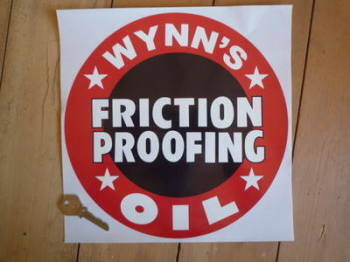 Wynn's Friction Proofing Oil Circular Sticker. 7". Wynn's Handed Flames Stickers. 5.5" Pair. 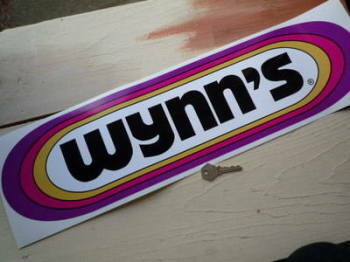 Wynn's Old style Hot Rod Window Sticker. 4". Wynn's Rainbow Stickers. 4", 6", 8.5", 10" or 12" Pair. 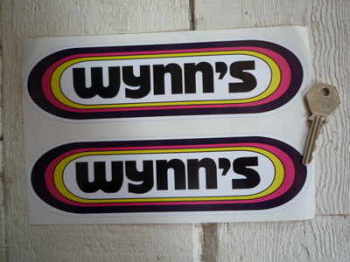 Wynn's Roundel & Car Shaped Sticker. 6".